directly from the Admin console. With this launch, we’re giving admins increased power to protect their organizations’ data by preventing their users from syncing corporate data on jailbroken iOS devices. Admins can enable this feature in the Admin console under Device Management > Advanced Settings > Security. Note that this feature is off by default and requires an organization to have Advanced Mobile Management for iOS enabled in order to turn on. For this setting to work, users need to have the Google Device Policy app installed. 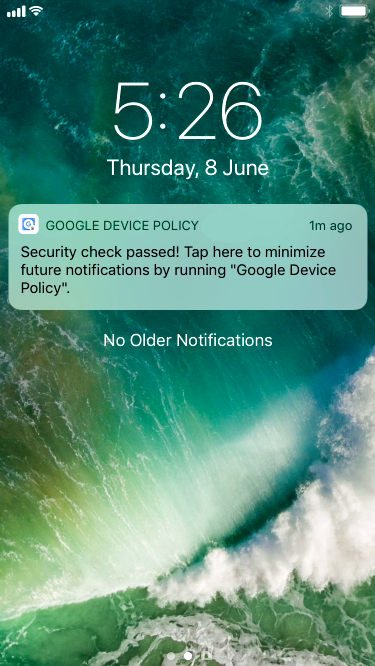 Once the feature is turned on, users who don’t have the Device Policy app on their device will be prompted to install it. Once installed, the app will check if the device is jailbroken regularly, and notify the user if they pass or fail that check. This setting should help G Suite admins and end users keep their organization’s data secure. For more details, visit the Help Center. 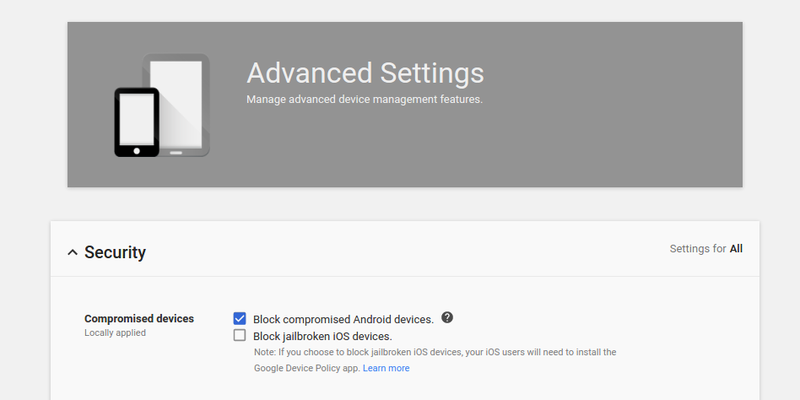 Google Mobile Management allows G Suite admins to control access to company data on managed devices directly from the Admin console. With this launch, we’re giving admins increased power to protect their organizations’ data by preventing their users from syncing corporate data on jailbroken iOS devices.